EYE: You’re one of the social entrepreneurs that Cheryl Dorsey of Echoing Green spoke about in her EYE Interview. 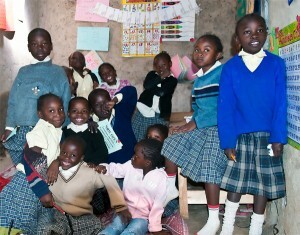 She said, “They bleed for their issues…they own them.” How do you describe your passion to help the people of Kibera? JESSICA: I was in college at Wesleyan University a year ago. 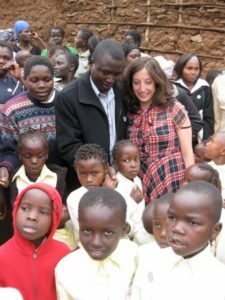 While I was there, I studied abroad and worked on a theatre project with Kennedy Odede in Kenya, a young community leader. I have a background in theatre for social change which uses theatre to tell stories about people’s lives. I found there was a tremendous need for something to change the way things were. Kennedy and I kept working together and started the first School for Girls. It definitely was challenging work and hard. The deck is so stacked against these people that I care about. But I see moments of transformation, and I would do anything to help them. We are absolutely changing lives. Look at the girls at our school. Last year they didn’t speak; they were shut down. Now a year later they speak English, read, write, and do math. They could be kids anywhere. I see great hope and possibility. EYE: Why did you chose Kenya? JESSICA: It was fate possibly. I wanted to go abroad and do something very different, so I found a program at The School for International Training. I applied and then found myself in Kenya. EYE: You’ve said that Kibera is hell on earth. Describe this hell and what you’re trying to do. JESSICA: Kibera is a hard place to describe. Everyday I feel differently. Each day is always good and hard. There is tremendous resilience here. These are incredibly smart people who drew the short straw. It is absolutely a tough place. No one should have to live in these conditions. There are ten people in a room ten by ten feet. Children sleep in cardboard boxes. There is no formal electricity, no running water, and no toilets. Kids are going to the bathroom everywhere. There are no formal schools. It is really lacking all basic infrastructure. I think that I’ve learned how unfair the world is. Of course there are times when it’s really upsetting. It makes me more angry than anything and fuels me to work harder. We start from square one and aim to provide basic services. We try to give people skills and the power to prove that anything is possible. EYE: How different is this experience in Kenya from the way you grew up? JESSICA: I have never wanted for anything. This is totally opposite to my background. I’m from the middle class in Denver. I had everything. I knew that there was a world very much not like where I lived that was hard for any of us to imagine. 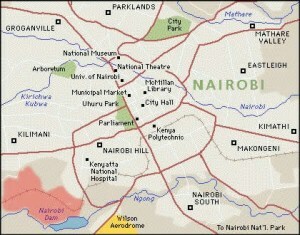 EYE: No white person had ever lived in Kibera before you moved into a slum there when you were 20. Describe your living conditions. JESSICA: It was three years ago that I moved to a ten by ten room without running water and with no electricity. It was devastating what I saw. The people had no access to education. It’s amazing what people can acclimate to. It saddened me that they had to. I became close to this community. I lived there for two and a half months. I went back to the US that year during the political crisis. EYE: The area where you lived was set on fire after you left. Many people were killed. Yet you went back. Why? JESSICA: Kennedy was still there and at risk. I helped him get out of country. He wanted to go to college. I told him to apply to Wesleyan, and he did and was accepted. I decided to go back the summer before he came to do a theatre project about violence. The country was sad but there was no active violence then. 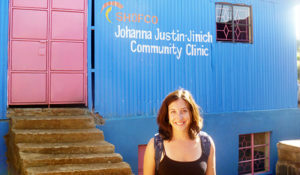 EYE: Starting the Kibera School for Girls was a true challenge. You had no money and nothing to begin with. How did you get it off the ground? JESSICA: Kennedy and I talked about it a lot. He wanted to start a school for girls. When he came to Wesleyan, there was a grant for $10,000 available. I said we should apply and we got the ten thousand. The school started with 45 girls. 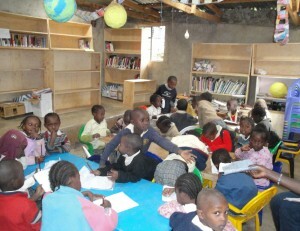 We built eight classrooms with a library. Everything cost under $20,000. We ended up fundraising for the rest. We just graduated our first class. It definitely doesn’t always go smoothly but that encourages me. I like challenges and things not going perfectly. I look past obstacles. The school has electricity but it’s been out all week. The education is free but parents have to help out for no pay. They get water from a well 30 minutes away. 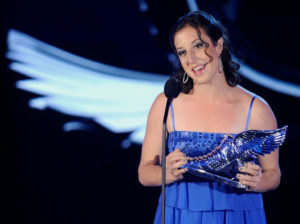 EYE: You won the VH1’s 2010 Do Something Grand Prize Award for Top World Changer. That’s a $100,000 prize. How did you win this? JESSICA: I just applied. They selected 15 finalists and flew us all to New York. Then it was down to five and I won. All the money goes to a large scale purified water project that we’re working on. EYE: How much of a thrill was it to win? JESSICA: All of a sudden I was in Hollywood getting the award from stars on a live television show. I still wonder if it really happened. It was a surreal different world and a fantastic experience. The next day I was on a plane back to Kenya and Kibera. EYE: You call your School for Girls groundbreaking. How so? JESSICA: It’s the first free school for girls. It places emphasis on the value of girls’ education in the community. The curriculum was designed just for us by education experts from around world. It’s very hands on like the Montessori schools. The kids are very involved. They have big challenges. They have to love going to school; they have to be excited. They are four to nine years old, preschool to second grade. We’re hoping to get to a ninth grade level. We have 67 girls now and add a class every year. We’re working with partners to get them to a high school they don’t have to pay for that provides scholarships. We see such a change in their overall demeanor; there is a nobility there. Every year we take another 15 students. Eventually we hope to have 570 students. Even that many is not enough. There are so many girls that need to be given a chance. EYE: Will you continue expanding or try to set up schools like this elsewhere? JESSICA: This school could be a model. We are definitely interested in linking tuition free schools for girls to community services wherever possible. This community has embraced the idea. EYE: What have you learned from your efforts to help the people of Kibera? JESSICA: It’s amazing to me what people can do for themselves. I’m so pleased to have gotten to facilitate it. When people are given leadership they can do amazing things. We have people come in every day and say we have an idea. It’s very organic. EYE: What’s one thing people can do to help your efforts? JESSICA: There’s a lot of things. It’s great for people to know about us. They can sign up for newsletter; make a donation; they can read our blog on our website. We’re on facebook. The biggest need is probably money. EYE: How long will you stay? What more do you hope to accomplish? JESSICA: It’s hard to say how long I’ll stay. We’re excited to open our new health clinic soon. People need access to health care and to be treated with dignity. We built the fourteen room clinic from the ground up. The paint is going on today. It’s a primary care facility and also has a women’s care program. It’s funded by Newman’s Own Foundation. 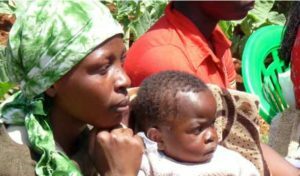 It will have prenatal care, post natal care, well baby care, and access to family planning. EYE: What about the women of Kibera? JESSICA: It’s about class in Kenya. In the affluent part they’re making progress and there are opportunities. When you live in extreme poverty, it’s hard to make progress. All of our girls come to us living with under one dollar a day. I think that in ten years there is hope that the value placed on women will be different. I would wish that our girls will see a different future, that they can do whatever they want to and perhaps change their community. One goal is that our girls will be able to lead productive, sustainable lives that make them happy. EYE: Many thanks, Jessica. And good luck with all your projects. You’re making an incredible difference in this community!